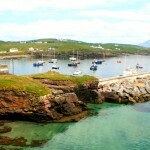 Clare Island is the largest island in Clew Bay. It comprises 4,053 acres, is 5 miles long and 3 miles wide. 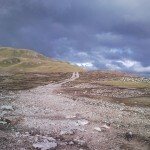 It is dominated by 2 hills, Croaghmore (1520 feet) and Glen Hill (729 feet). 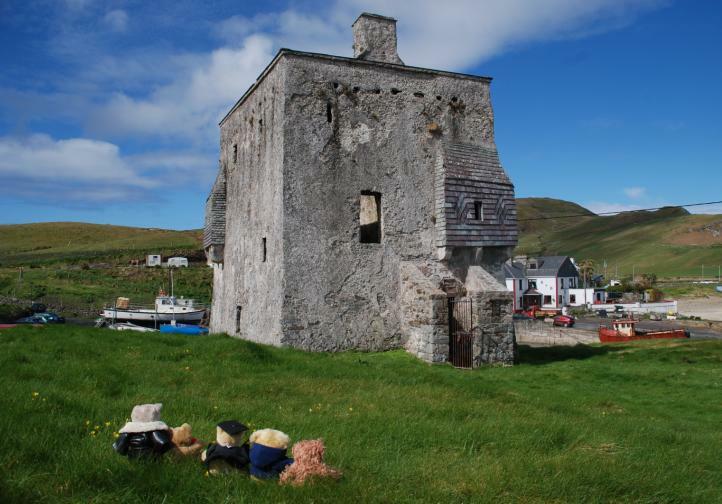 As you arrive into the harbour on Clare Island, the first thing that will strike you is the beautiful sandy beach to your right, which makes an ideal playground for children and provides for safe swimming. 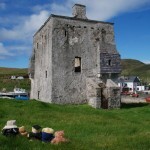 On the rocky headland at the harbour is the square tower which served as Grace O’ Malley’s (Granuaile’s) castle. 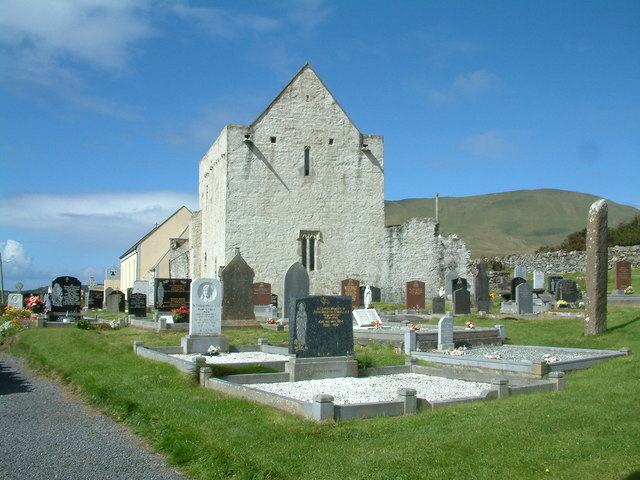 Clare Island was the stronghold of this remarkable 16th century O’ Malley clan chieftain who lived by her family trade of piracy and plunder. So widely feared was “Granuaile” (as she was known) that she was received with full honours at the Tudor Court of Elizabeth 1st. 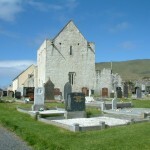 She maintained her dominance into old age, died in her seventies in 1603 and was buried in the abbey on Clare Island. An ornate stone plaque in the abbey is believed to mark her burial place. 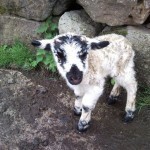 Visit Ann Chambers’ website at www.graceomalley.com for more information. The 12th century Cistercian abbey contains a remarkable series of medieval wall and ceiling paintings. The paintings which once covered the entire ceiling in a kaleidoscope of colour, depict mythical, human & animal figures including dragons, a cockerel, stags, men on foot and on horseback, a harper, birds & trees. Only four other such paintwork examples still exist in Ireland & Clare Island’s is the most intriguing and best preserved. 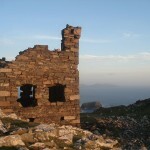 The remains of a 19th century Napoleonic signal tower is situated at the western tip of the island. 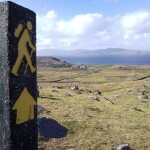 This site enjoys superb views of the Inishturk and Inishbofin islands. 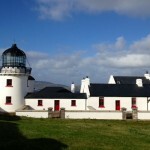 The lighthouse is a distinctive landmark on Clare Island. It is perched on top of cliffs at the northern end of the island, but its walls can be seen in the distance on the approach to the island harbour. 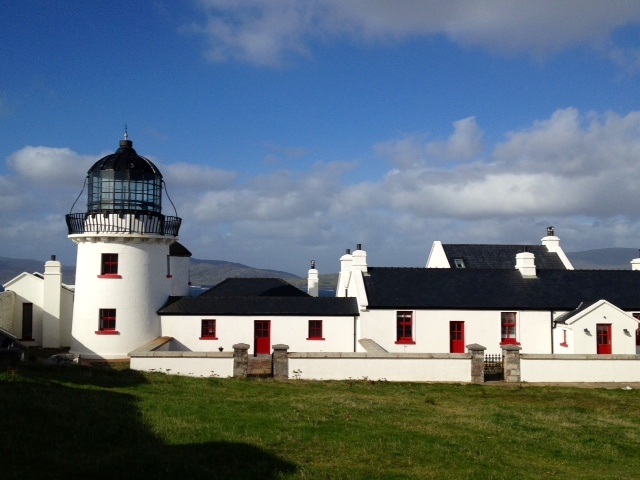 The lighthouse is now out of operation having been replaced by one to the north on the mainland. 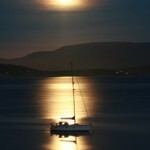 The lighthouse now operates as a luxury bed & breakfast establishment. The sea cliffs here are among the most dramatic on Ireland’s north west coast. They provide suitable nest sites for thousands of sea birds during the summer months. Fulmars, kittiwakes, guillemots & razorbills rest on the cliff ledges, while puffins nest in burrows on the steep grassy slopes. A small gannet colony of only 3 pairs exists on a sea stack on the north west of the island. This is the most northerly of the 5 gannet colonies found in Ireland. Suitable habitat is also provided for the rare chough, which forms large flocks on the island. Its distinctive high-pitched call and acrobatic flight distinguishes it from other crow species. The peregrine falcon’s piercing cry can also be heard as it patrols the cliffs in search of prey. 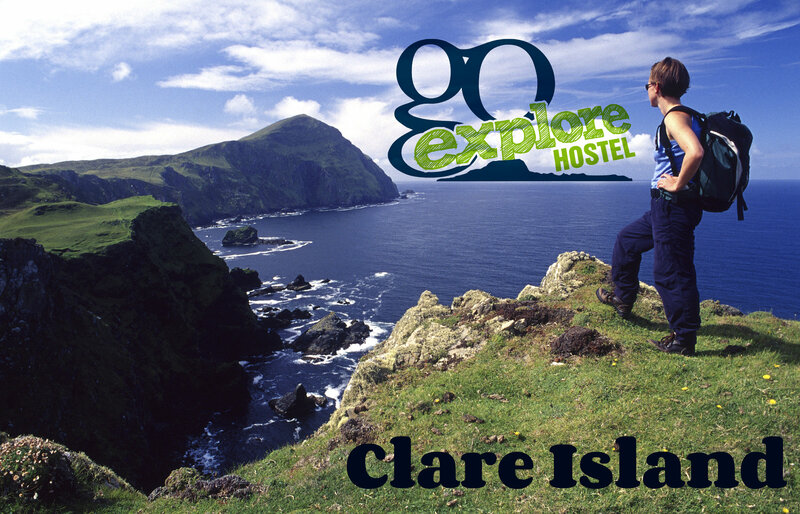 Clare Island possesses one of the most diverse geologies in all of Europe and incidentally is the location of Ireland’s oldest fossil. 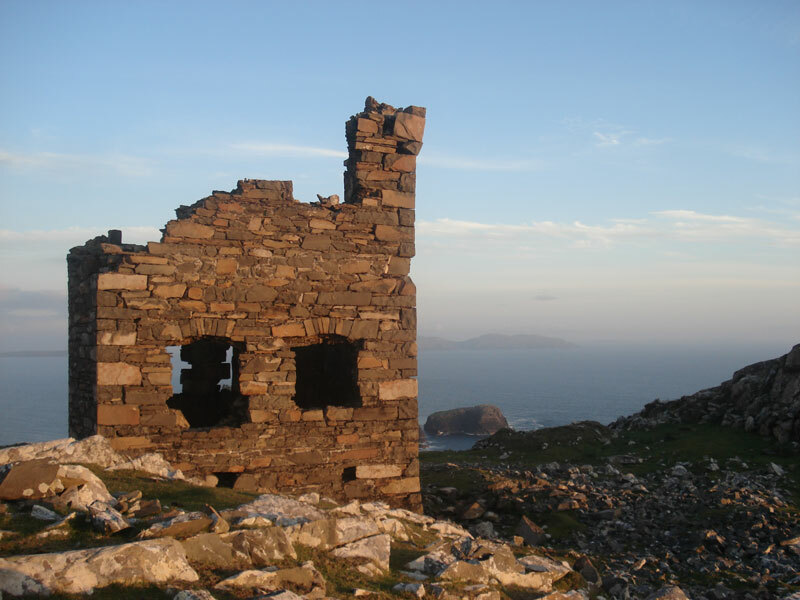 In 1909, the first major biological survey in the world of a specific area began on Clare Island. It was coordinated by the famous naturalist, Robert Lloyd Praeger. 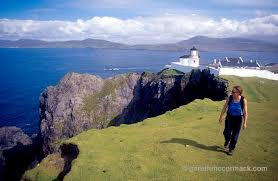 What makes the island particularly important is its structure which is dominated by a ridge running from east to west that reaches 1520 feet at Croaghmore. This ridge forms precipitous cliffs on the seaward side, which are an important site for breeding sea birds. 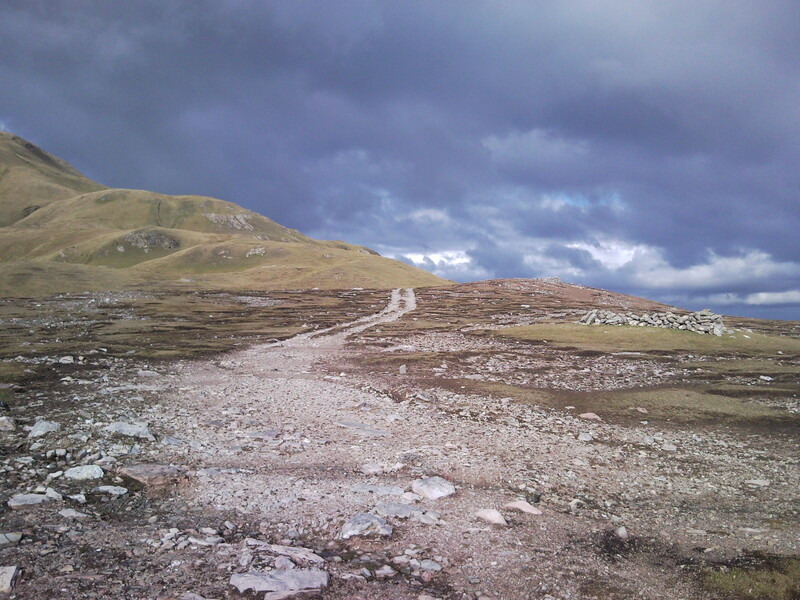 The landward side of the ridge is a steep, heathery slope that is home to a variety of rare arctic – alpine flora. 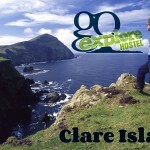 It is these two factors that make Clare Island an area of international scientific importance. 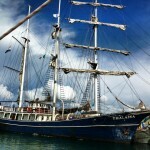 The island has a long history of habitation dating back to, at least, 3500 B.C. The island’s undulating landscape is everywhere marked by remains of tillage from pre – famine times when its population reached its greatest number – 1,700 people in 1841. 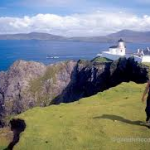 The rich archaeological history of the island can be viewed in the Iron Age huts and field systems, 10 promontory forts, 45 fulachta fiadh (or burnt mounds) & a 5000 year old court cairn. 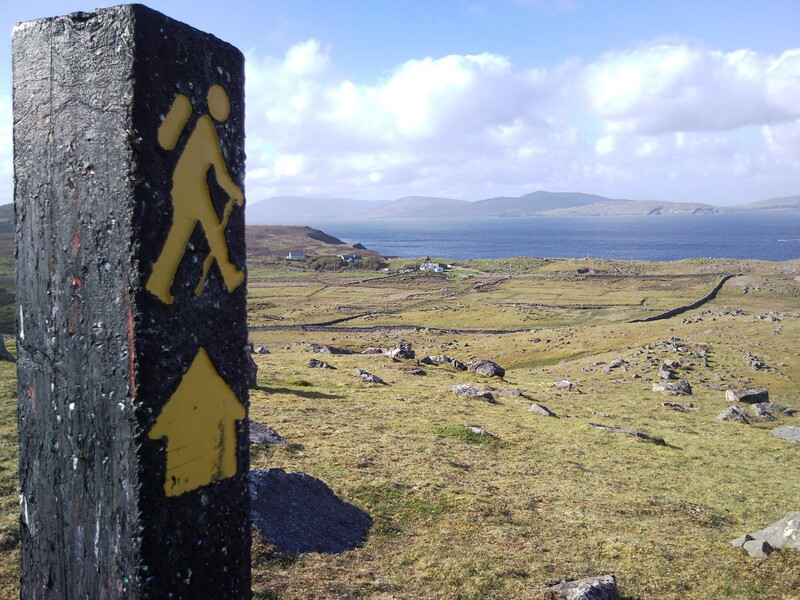 The Clew Bay Archaeological Trail has signposts to some of these sites for your exploration. 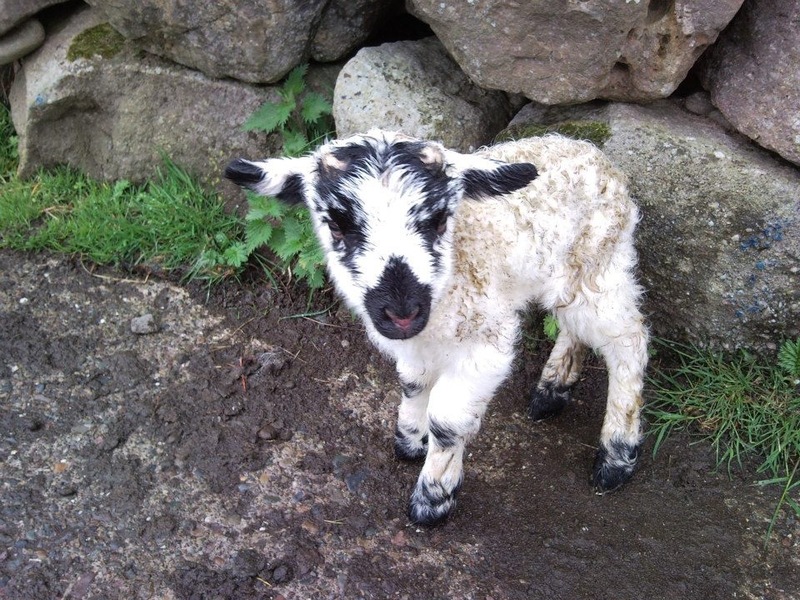 Today Clare Island has a winter population of 165 people & still maintains many of the old traditions. 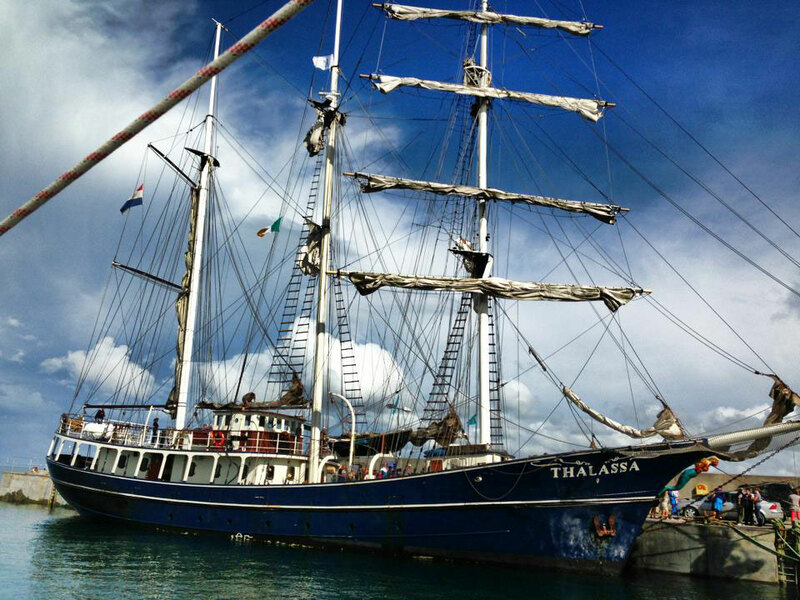 The island has an active community which hosts a number of festivals throughout the year.